She's Fantastic: She-Ra and the Princesses of Power - SHE-RA! She-Ra and the Princesses of Power - SHE-RA! 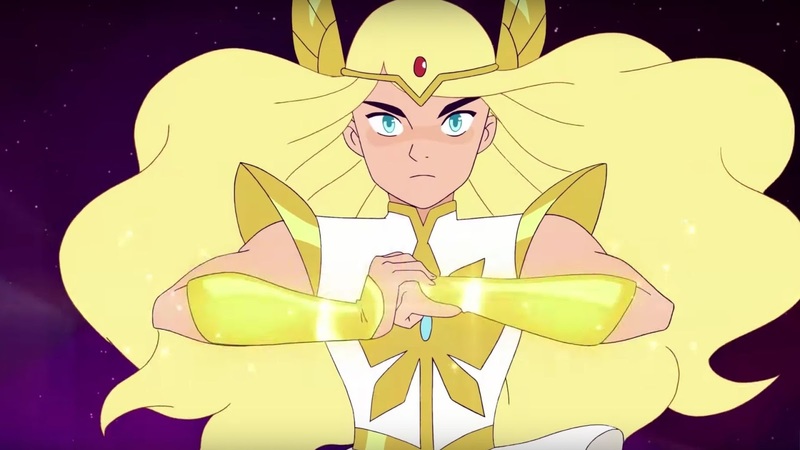 I loved the She-Ra and the Princesses of Power reboot from this past Fall. My initial reaction to the art style was a little hesitant, but once I saw the actual episodes I was hooked. 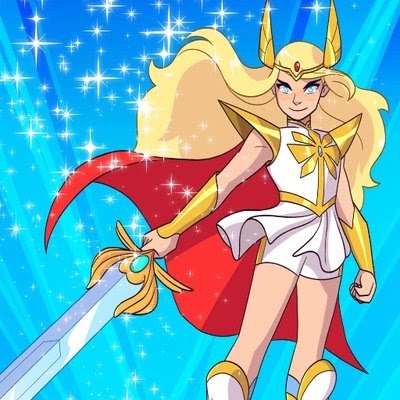 One of my favorite design choices was how Adora grew to giant proportions when she changed into She-Ra. I always like when a character's stature changes in proportion to strength. I feel that there is so often an obsession with females being petite they rarely get a chance to Hulk out. Of course She-Hulk grows, Fairchild from Gen13, and Ann O'Brien from Monkeyman and O'Brien, but it's pretty rare, and almost never to monstrous proportions like Mr. Banner himself. But a good 12 inches in height and 50 pounds of muscle is fine for me. This figure from Super7 is great. The sculpt and detailing is a perfect representation from the show. I only hope this first couple figures are popular enough to warrant more. The character designs were so colorful and diverse that I'd love to see them all. Let's check out She-Ra below! This figure is pretty terrific, the only issue for me is that her skin tone is so close to the hue of her hair. In actuality, this is how she looks in the cartoon. Her hair and skin color make her look almost luminous in the show, but for these photos I had to adjust the contrast so the sculptural details wouldn't get completely washed out. She-Ra comes with her huge Power Sword. She-Ra doesn't have a ton of articulation. She is articulated at the Neck, Waist, Legs, Shoulders, and Wrists. The shoulder details really hinder her arm movements. Here she is with Catra. Here are the three recent Super7 She-Ras: Vintage, Netflix, and Filmation.